This term has crossed our path a few times recently. Curious about the term, it just happened that an article entitled “Run For A Reason” landed in our lap. What is it? Plogging started in Sweden and is a mash of ‘plocka’ meaning to pick up and ‘jogga’ meaning of course to jog. It’s a concept taking hold across Canada and the world. It is deemed as a ‘new environmentally friendly fitness craze’. It’s simple, you run and pick up litter while you jog, or at the end of your end for 10 minutes. You can do it in a group, alone, with your kids. All you need outside of your running shoes, are gloves and a bag to pick any garbage. As a resident that lives on a public walk and bike path in SE Vancouver, many residents regularly pick up garbage while walking our ourselves and/or our dogs along the Fraser River. It not only protects those of us in the community, it’s greatest benefit is in protecting the wildlife whether on land, air or water. So if you are not a runner, no worries, If you think you’d like to do this regularly and need supplies, we encourage you to contact the City of Vancouver’s Keep Vancouver Spectacular Program. 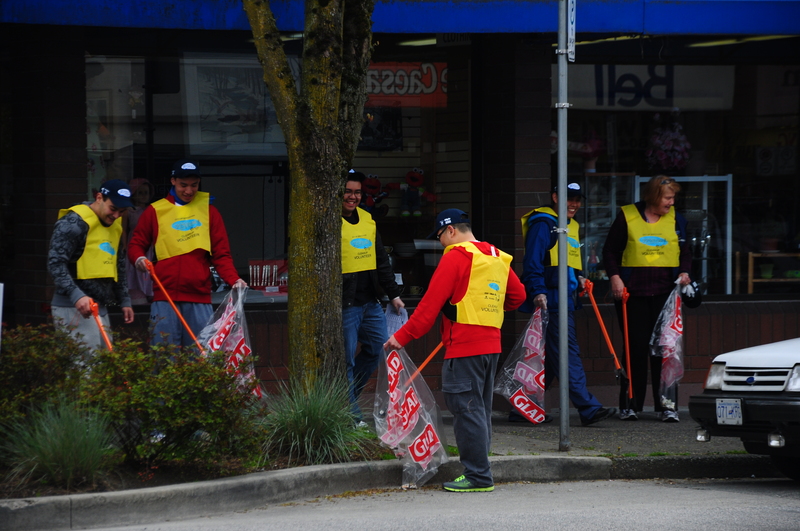 They are able to provide bags, gloves and tongs to those undertaking any clean ups in the City of Vancouver. If you want to learn more about Plogging in Canada, there’s a Facebook page. We encourage you to check out and get plogging! As a past Block Captain there is satisfaction in everything looking green and clean in your neighbourhood. It is amazing how much garbage can be picked up with a small group of people. It is rather simple if you are the one doing the organizing. You simply go online fill out the registration form. After that, the City delivers you the requested items. Enlist a few volunteers. Designate a location that everyone in your group returns the garbage to. The time commitment is what you make it, but generally 1 to 2 hours is the average. If neighbours need a little encouragement to participate, truth be told, I have enticed a few neighbours with fresh coffee and donuts. 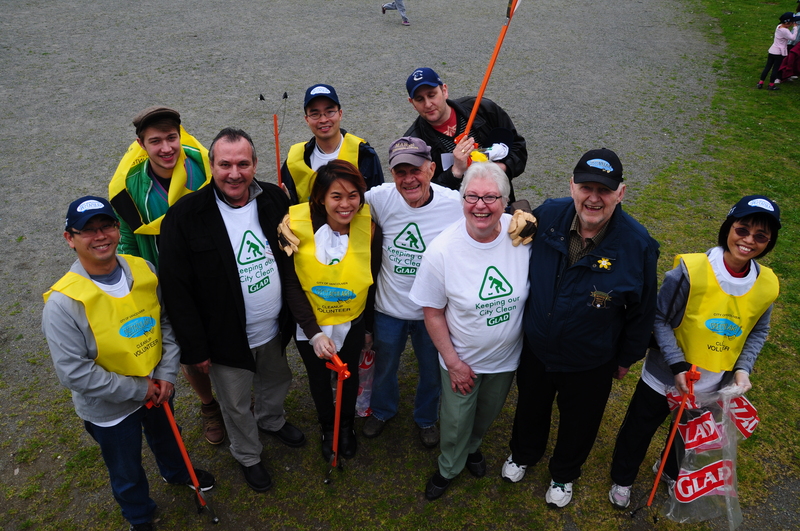 If you are not an organizer, but wish to volunteer, many neighbourhoods are now looking for volunteers for their clean up campaigns such as South Hill Business Association (along Fraser Street between 41st and 50th Avenues) South Hill BIA is holding their annual clean up this Saturday, May 4th from 10:00 a.m. – Noon. The Victoria Drive Business Improvement Association is holding their clean up campaign on Sunday, June 23, 2013 and to boot, they will be providing lunch. For more details or to volunteer, call T: 604-323-2301 or email vdbia@telus.net. 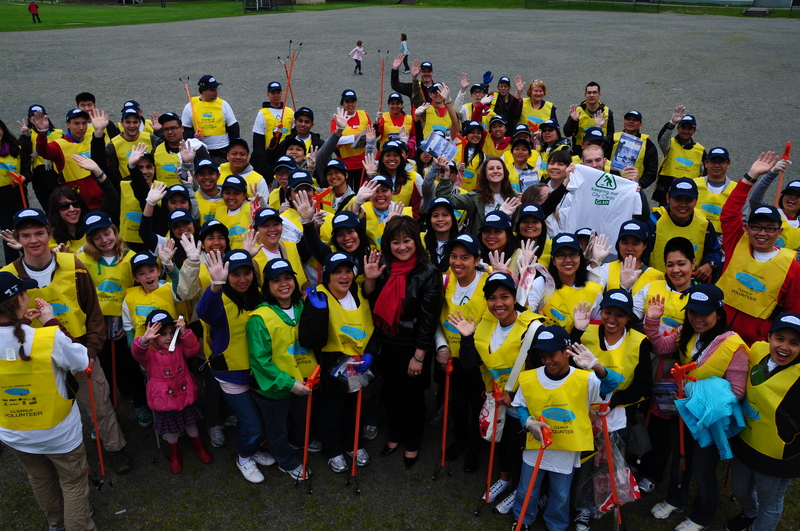 In 2012, 16,400 volunteers in 180 groups came together to fill more than 6,000 bags with litter. Now that’s spectacular!